Cakes can be mixed in any number of ways. 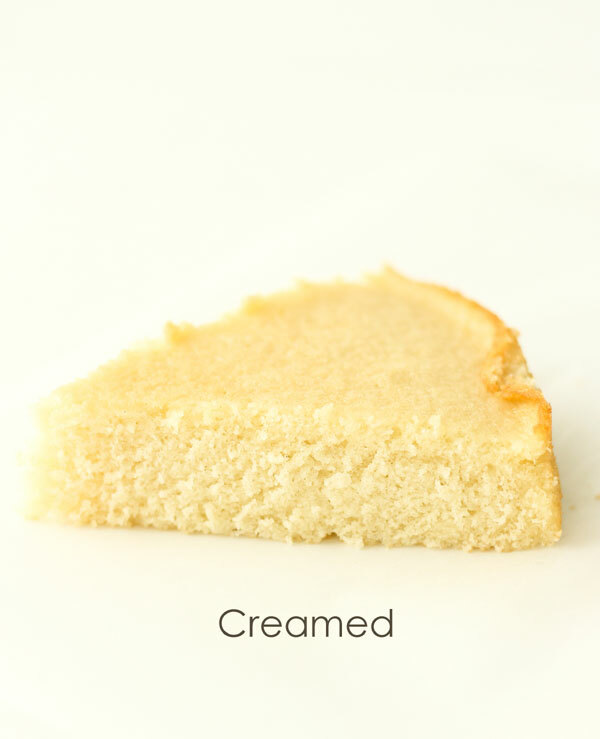 Most butter cakes are mixed in one of the following two ways: by the creaming method or the reverse-creaming method. The creaming method is the most common. In this classic method, the butter and sugar are mixed together followed by addition of the eggs, dry ingredients and liquids. In the reverse-creaming method, the dry ingredients and the sugar are mixed together first. Then the fats and a portion of the liquids are mixed into the dry ingredients followed by the remaining liquids. Each of these approaches has advantages. I wanted to look at the final outcome of the cakes mixed by these methods and observe the effects. 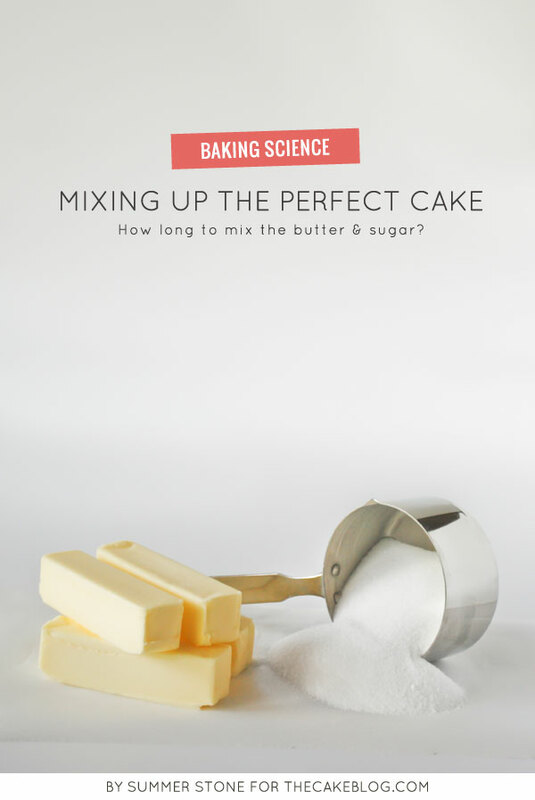 I mixed one cake with the creaming method, one cake with the reverse-creaming method and one cake as a control where I combined all of the ingredients in the mixer at once and mixed away. This way I could compare the more formal mixing methods with an all-in free-for-all. Before I get to the results, let’s take a quick look at what is going on in each of these methods and their benefits. 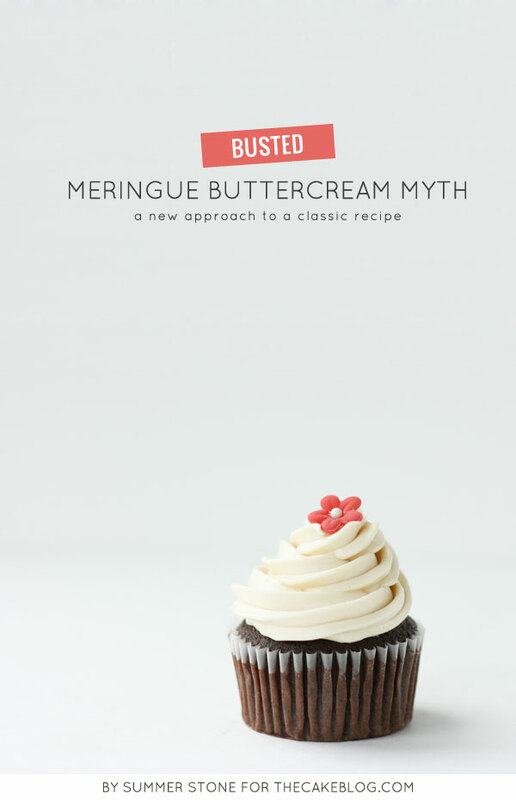 Beating butter and sugar together helps leaven a cake batter by driving air into the butter with the assistance of jagged sugar crystals. Adding eggs to the butter/sugar mix allows for thorough emulsification of fats. 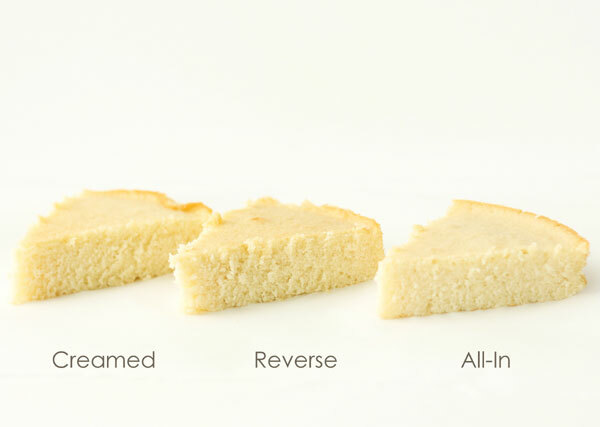 Gluten formation is minimized by alternating dry ingredients and liquids as they are incorporated into the butter mixture. Adding fats into dry ingredients insures that flour particles are well coated with fat. This minimizes gluten formation. Including a small amount of liquid while mixing the fats into the dry ingredients allows the combination to blend thoroughly. It also creates some structure in the batter. The fat/flour mixing minimizes the size of air particles that are incorporated, resulting in a finer crumb, theoretically. This is the easiest of the methods since there are not multiple mixing steps involved. Excess liquid present in the mixing phase makes it difficult to adequately blend in and emulsify the fat. The volume of liquid does not allow much incorporation of air pockets and thus contribute to leavening. 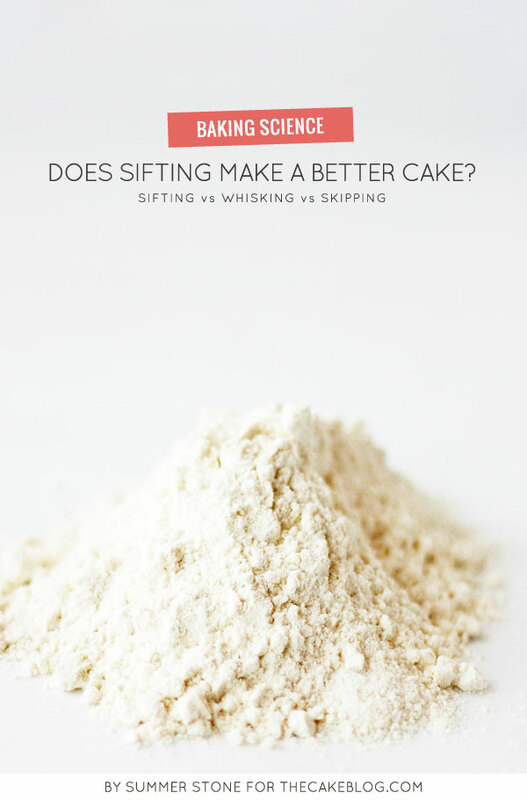 I have baked many cakes using both the creaming and reverse-creaming method and in the past have found that certain cake formulations generally work better with one method or the other. 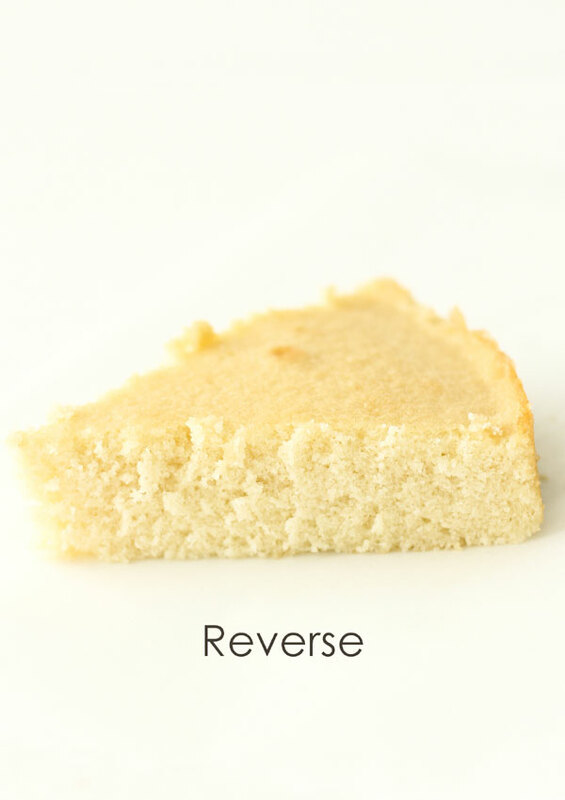 For these trials, I used a basic vanilla butter cake and I was surprised to find, that in this recipe, the creaming method and the reverse method produced a nearly identical cakes. Both of these cakes were light in texture with a moderately fine crumb. 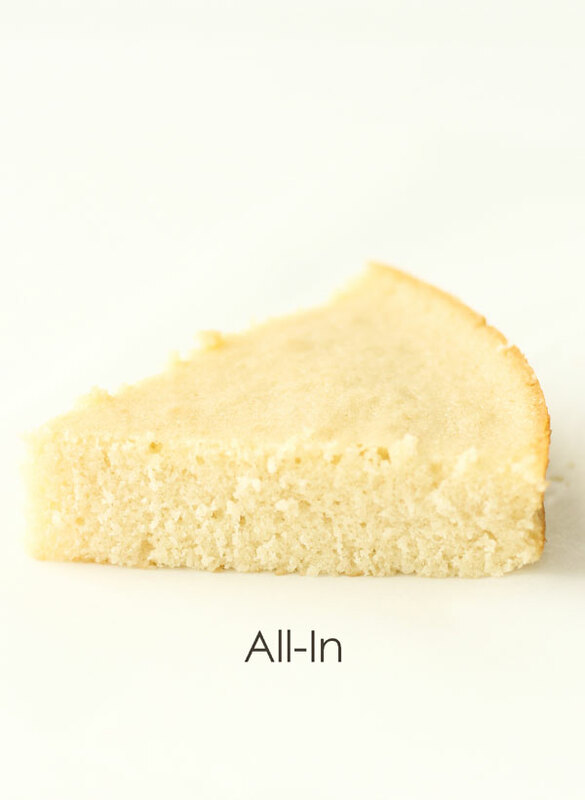 The all-in cake was slightly denser with a tighter crumb, but even this simple mixing method produced a nice cake. So what is the take-home message? In a very basic cake, both the creaming and reverse methods work well to create an appealing cake. It comes down to your preferred methodology. 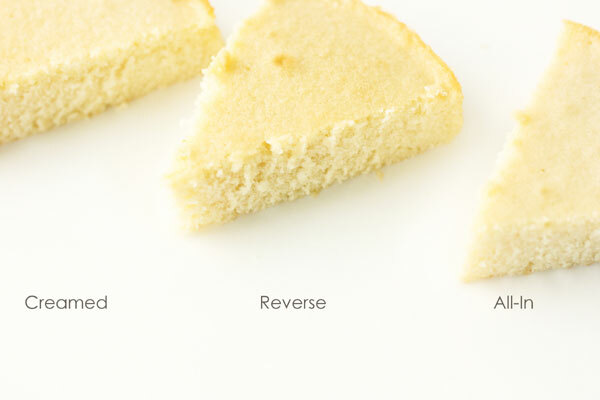 If you are working on recipe development and you are having textural challenges, the creaming method can help to lighten a cake while the reverse method will often refine the cake’s crumb. If you are in a hurry or need a tight crumb for carving, the all-in method may be your technique of choice. The beauty is that you get to choose based on the situation or specific recipe needs. Very useful information you shared here. very nice. Thank you for publishing these articles. I find them really fascinating and appreciate the side-by-side comparisons very much. Interesting article, nice to see the science behind the two methods. 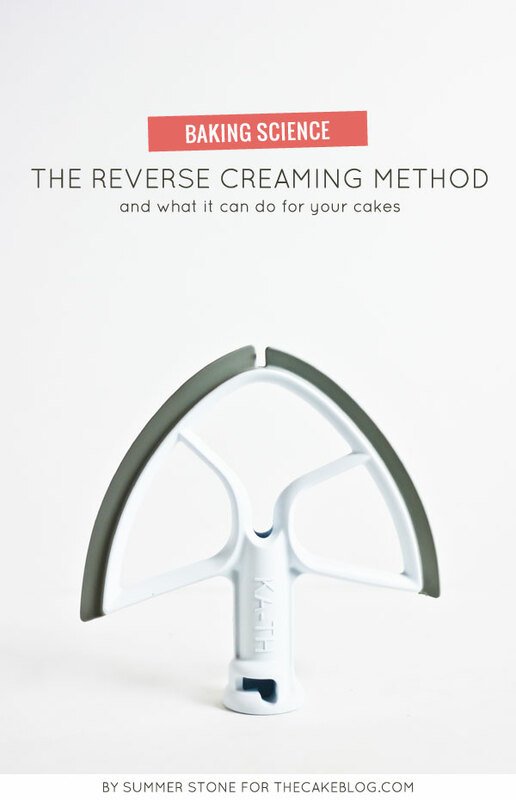 I personally favor the reverse creaming method because you can do everything in just one bowl. In your American Mud Cake, why do we add hot water (in the coffee)? Doesn’t the high temperature deflate the batter? My main question is: Can I use room temperature coffee?